We’ve never had an issue with teeth grinding in our family, until my 4th child started to do so at 2 years of age. The eery sound was detected over the baby monitor, night after night. The noise was a nail biting sound that made me cringe, like fingernails screeching across a chalkboard. This continued for several weeks. I knew if I couldn’t find anything to stop the grinding I would be taking my son in to get fitted for a night guard. Not the worst that could happen, but could there be another underlining issue? I had to figure out a hopeful alternative, before subjecting my son to something that may not really be needed in his “mild” situation. I’m one to first look for other options. Because… There had to be other options! I discovered why teeth grinding sometimes takes place in the human body of so many people, young and old. Most of it really comes down to nutrition! After already reading and learning how to finally formulate my own blends properly for other therapeutic blends, I revised and re-created this amazing blend! 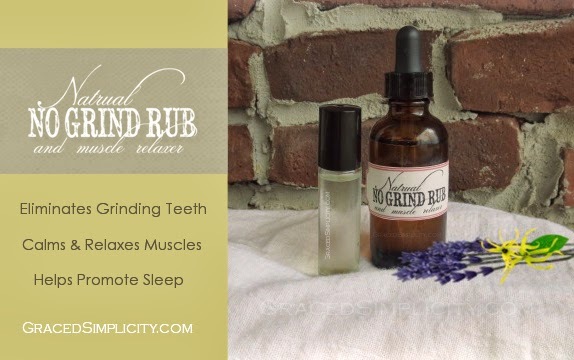 I’m happy to say, we’ve been using this ‘no grind rub’ for several months now, and I can tell you it has worked perfectly for us! Not only has it worked to eliminate the grinding of my sons teeth, but it also has worked at calming other muscles and helps one sleep soundly. When we first started, I would often times skip or forget, to put oil on my little man during our bedtime routine, that’s when his grinding takes over his night as well as ours through the baby monitor. I have seen a difference! It’s not easy to forget anymore! And it’s hard to forget when EVERY night at bedtime my little man asks for his oils on his feet. The youngest one has started asking for it now too! I really think it helps calm and relax and helps promote a better nights sleep. When it comes to teeth grinding some nutritional concerns need to be considered and taken into account, and we ourselves are also working at getting the proper vitamin’s and water intake during the day on our little man. Nutritional Concerns with Teeth Grinding: Lack of proper calcium & magnesium is one of the biggest reasons why body muscles tense and cause other issues like teeth grinding! Other great vitamins that help prevent muscle stress and spasms are Vitamin B, Vitamin C & Zinc. Another way to keep muscles free of stress is to stay properly hydrated, staying away from caffeine and refined and processed foods. Print your Natural ‘No Grind Rub’ below. Properly Formulated to help eliminate grinding teeth, relax muscles and promote a good nights sleep. I created the print out to be an 8×10 so that it can easily punched and placed in a binder for easy access. *Helpful Hint: I mix up a 2 ounce bottle, but also fill up a 10mL (1/3 Oz) roll-on glass vial. This makes the application of the oil much easier to use for bed time each night. Easily roll it on! diagnose, treat, cure, or prevent any disease. We are not responsible for any injury that may occur while using our tutorials or recipes. 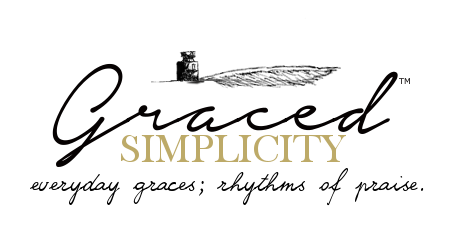 The use of the Graced Simplicity blog and the content is and should be used at your own risk.